A new portrait that casts the queen as she saw herself: not as an exceptional woman, but as an exceptional ruler. Queen Elizabeth I was all too happy to play on courtly conventions of gender when it suited her “weak and feeble woman’s body” to do so for political gain. But in Elizabeth, historian Lisa Hilton offers ample evidence why those famous words should not be taken at face value. With new research out of France, Italy, Russia, and Turkey, Hilton’s fresh interpretation is of a queen who saw herself primarily as a Renaissance prince and used Machiavellian statecraft to secure that position. This Elizabeth breaks new ground and depicts a queen who was much less constrained by her femininity than most treatments claim. For readers of David Starkey and Alison Weir, it will provide a new, complex perspective on Elizabeth’s emotional and sexual life. 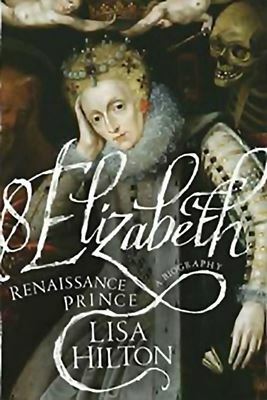 It’s a fascinating journey that shows how a marginalised newly crowned queen, whose European contemporaries considered her to be the illegitimate ruler of a pariah nation, ultimately adapted to become England’s first recognizably modern head of state.